There’s a space for creativity in the business world that is sometimes neglected. Sometimes it’s hard to reconcile the image of the art gallery with the office, but for passionate students and professionals a creative career is always in reach. It took some time for me to land my interview with KPMG consultant Zoe Salt. We had to book ahead, and there were a couple of reschedules as the chunks of free time in our respective Outlook calendars never quite seemed to align, but I’ll admit it was one I was happy to wait for. 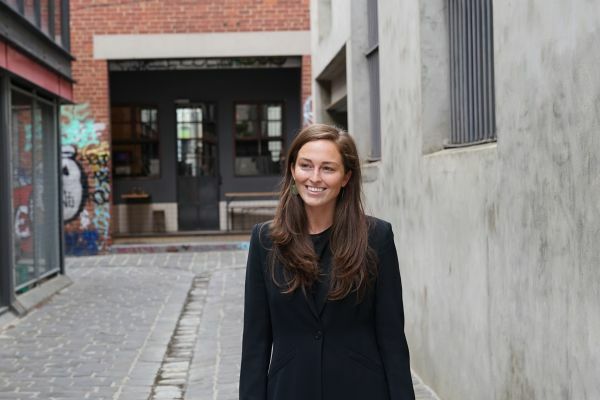 Having spoken to a variety of Melbourne Business School (MBS) students over the last year, I know that for many of them the goal is where Zoe is now, so hearing from her is a valuable insight. Hearing about her experience, and what led her to the world of consulting was an eye-opening story, with what I thought was an unlikely beginning. Zoe set about finding out what it would take for her to make it in the business side of the art world, speaking with curators and gallery owners. The ultimate feedback was simple: you need to know the business. It was at this point that Zoe changed from fine arts into an arts degree, with the ultimate intention of going on to study business at the post-graduate level. Eventually, she enrolled in the Master of Management at Melbourne Business School, a degree that would give her the skills she needed to enter the world of business, and expose her to the opportunities that led to her employment in a graduate role with Telstra, and her eventual move to KPMG. The Master of Management at Melbourne Business School (MBS) equips students with skills for managing innovation and change, motivation and leadership techniques, strategy development, and organisation management. Connect with your peers and begin building a professional network that will extend into the future, and engage with companies both internationally and here in Australia through subjects like the Business Practicum and the Global Business Practicum. Learn more about the Master of Management here. It's an opportunity that’s given Zoe the chance to branch out and learn that creativity is a spectrum, and can be applied in a variety of ways. Melbourne Business School holds information sessions within Australia and internationally throughout the year. If you're interested to know more about MBS programs, click here to see when we will be in a city near you.